It is a known fact that flowers and sunshine makes us happy, but how to make a dim corner a bright and vibrant place? The use of potted plants is a great start, but to make sure that the plants grow well, some consideration on the types of shade plants is recommended. 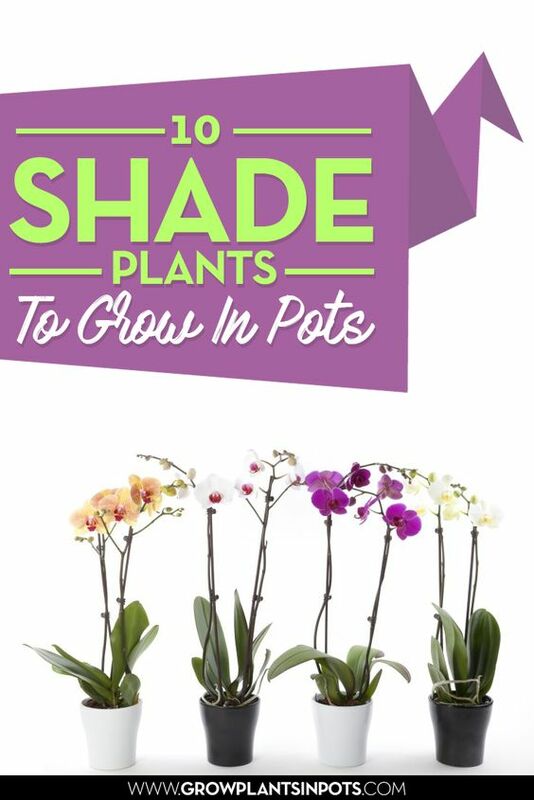 Below we'll have a look at some shade loving plants which grow well in pots. 1. 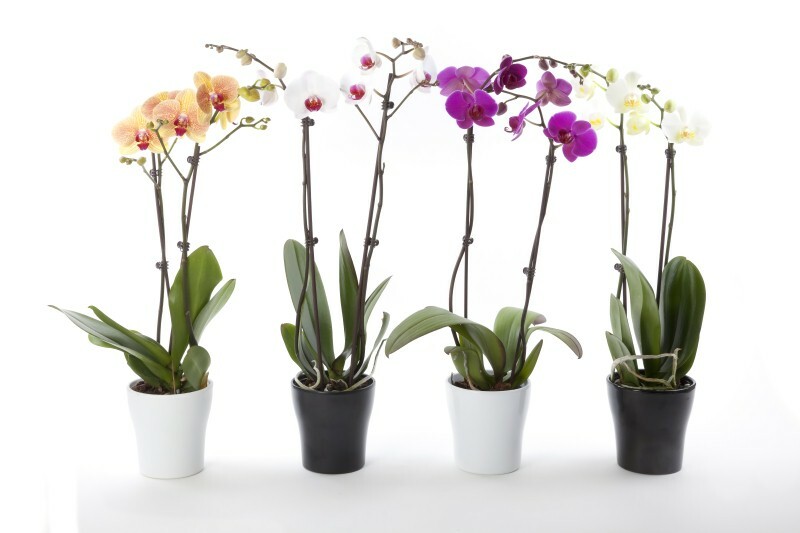 Orchids: Orchids aren't full shade plants but they love indoor places with indirect sunlight, and they can easily be placed next other plants that enjoy shady spots as much as they do. They look great on a window sill and brighten up a dim room nicely. 2. Flame violet: Pots are the most common choice for growing flame violets. Violets are small in size, but they fill up the room with such beauty and flare. If you are not that familiar with planting violets, but you would like to grow some for yourself, it is not that hard to get started. Flame violets are some of the best shade plants to grow in pots or containers. 3. Peace lily: These flowers are common and they are simple and easy to grow. They are not "true" lilies but rather common houseplants which are non-toxic and therefore safe to have around kids and pets. If you love to nurture plants in containers that love shade, peace lilies will be a perfect choice. 4. Lady palm: The lady palm also known as a fan palm (rhapis excelsa), strives in both shade and part shade environments. They are well suited to grow outdoors in containers, or even to keep as houseplants indoors in pots. When kept inside one may notice the colour of the leaves being even more beautiful, dark and rich. 5. Clivia: The Clivia (Clivia miniata) is a beautiful dark green plant with orange flowers. Some have red, cream and yellow flowers, perfect to grow in pots outdoors or indoors and kept in shade. 6. Camelia: Camelias make wonderful shade plants to grow in pots. Japonicas prefer a shaded position while Sasanquas grow well in part-shade to full sun. Camelias are strong plants which are easy to care for. 7. Philodendron: Philodendron is a big leafy plant that needs watering on a monthly basis. This plant looks great on a patio, but is certainly nice indoors in pots too. 8. Baltic ivy: Baltic ivy is an indoor plant that looks lovely, but keep your pets and your kids away as this plant is poisonous to humans and animals. It grows fast and is often used as ground cover too, so make sure you have adequate space. 9. Snake plant: Snake plants, also known as mother-in-law's tongue, belong to the succulent family and are known to improve air quality. They don't like moist areas but they are the type of plant that can tolerate neglect well. Use them as shade plants or expose them to sun; and the snake plant will likely survive. 10. Ferns: Well, of course ferns had to make it to the list of shade loving plants! Ferns strive in shade, and you can rely on ferns of all kinds to do well in pots. If you really don't want anything to go wrong, ferns are a safe choice. Which Plants Will You Grow In Shady Spots? Growing plants in pots can be a rewarding experience, and what better thing than sprucing up a dull and shady area with some nice and colourful plants? These were just a few of the many plants that do well in shady and dim areas, but hopefully they have given you some inspiration in your quest for the perfect shade loving plant to grow in pots.